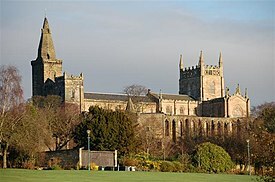 John (died 1406), who became King of Scotland as Robert III, married Anabella Drummond. Walter (died in 1363), husband of Isabella MacDuff, Countess of Fife. 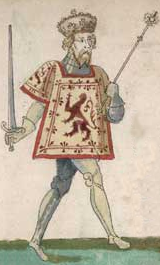 Robert, Earl of Fife and from 1398 Duke of Albany (died 1420), married in 1361 Margaret Graham, Countess of Menteith, and his second wife in 1381 Muriella Keith (died in 1449). Margaret, married John of Islay, Lord of the Isles. 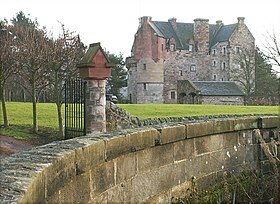 Marjorie, married John Dunbar, Earl of Moray, then Sir Alexander Keith. Elizabeth married Thomas de la Hay, Lord High Constable of Scotland. 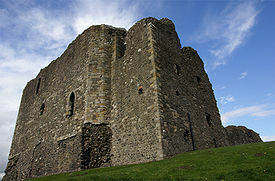 Isabella (died 1410), married James Douglas, 2nd Earl of Douglas (died in 1388), followed in 1389 by David Edmonstone. Johanna (Jean), married Sir John Keith (died 1375), then John Lyon, Lord of Glamis (died 1383) and finally Sir James Sandilands. Katherine, married Sir Robert Logan of Grugar and Restalrig, Lord High Admiral of Scotland. Elizabeth, who married in 1380 David Lindsay, 1st Earl of Crawford. Egidia, who married in 1387 William Douglas of Nithsdale. ^ a b Weir, Alison. Britain's Royal Families: The Complete Genealogy. Random House. p. 228. ISBN 9781446449110. This page was last edited on 23 April 2019, at 15:21 (UTC).